Pond Construction, Building and Design - Dydo and Company Inc. Since 1985 Dydo and Company Inc. has constructed and restored a large number and variety of ponds from a tenth of an acre to over thirty acres. Each pond is different because of water sources, soil, size, location, and purpose. 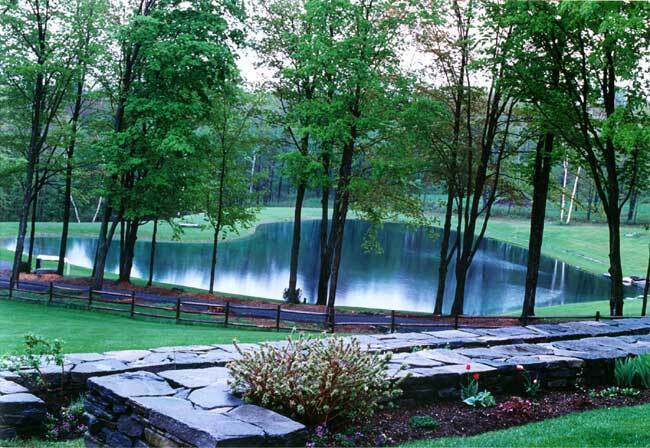 We have worked on ponds for private residential customers and golf courses. The ponds have been used for recreational, aesthetic, irrigation, and agricultural purposes. We utilize a large specialized fleet of equipment designed for the purpose of constructing and restoring ponds. Our staff is very knowledgeable with many years of experience. 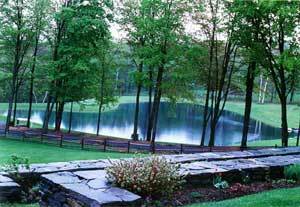 Most of our work has been done within a fifty mile radius of Dorset, Vermont, however, we have traveled and worked on ponds in New York and New Hampshire as well.